Boyds, Md. 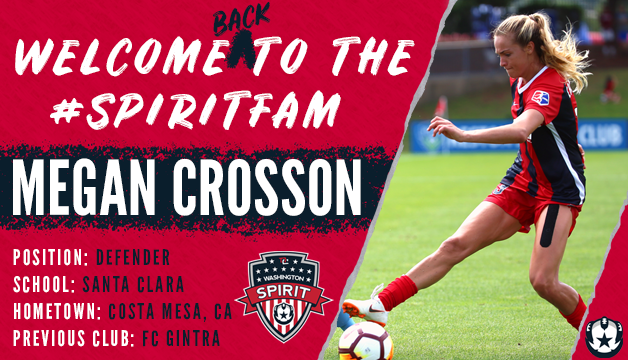 (Jan. 14, 2019) – The Washington Spirit has signed defender Megan Crosson ahead of the 2019 NWSL season. Per league and team policy, terms of the deal were not disclosed.